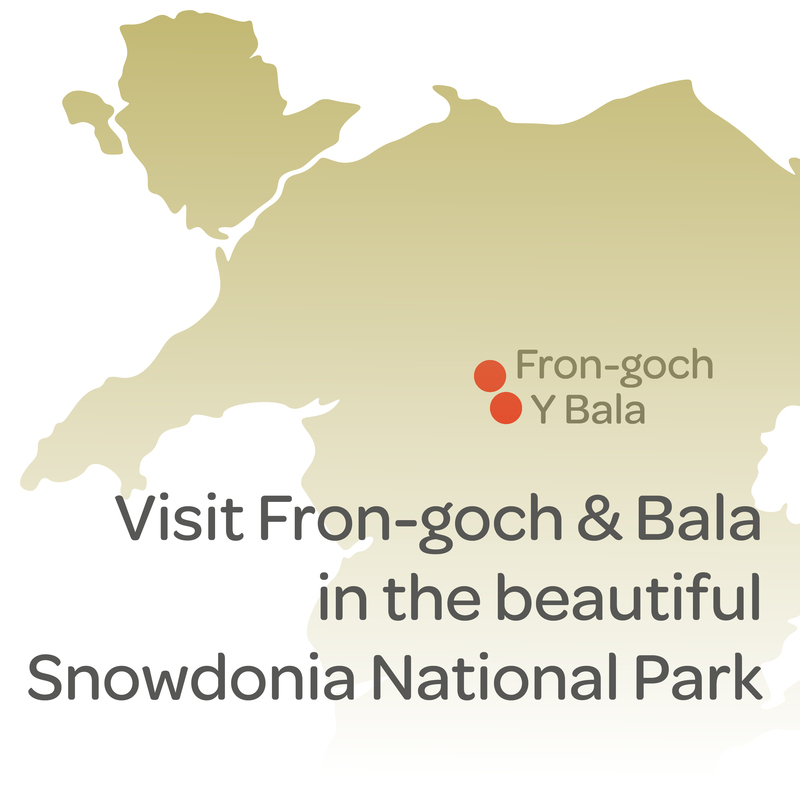 Following the 1916 Easter Rising 1,800 Irish prisoners, including Michael Collins, were imprisoned in an old whisky distillery at Frongoch near Bala. 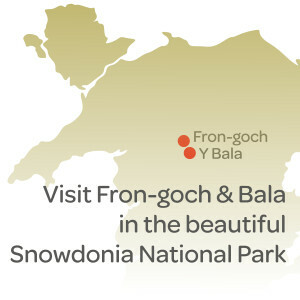 Frongoch has a unique place in the history of these islands but was largely overlooked until recently. 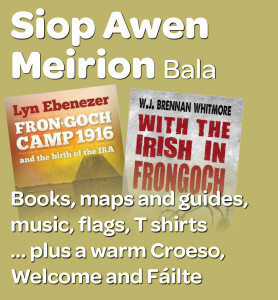 Full details of the programme of events at Frongoch. 100 years to the day when 1,800 Irishmen arrived at the camp. Under the leadership of Michael Collins, Frongoch Internment Camp became known as the ‘University of Revolution’. A memorial plaque marks the site of the camp at a lay-by on the beside the A4212 Bala to Trawsfynydd road. Check out the rare photos of the camp. If you know of any more please get in touch! What was the Easter Rising? What happened in 1916? Who was fighting who and why? 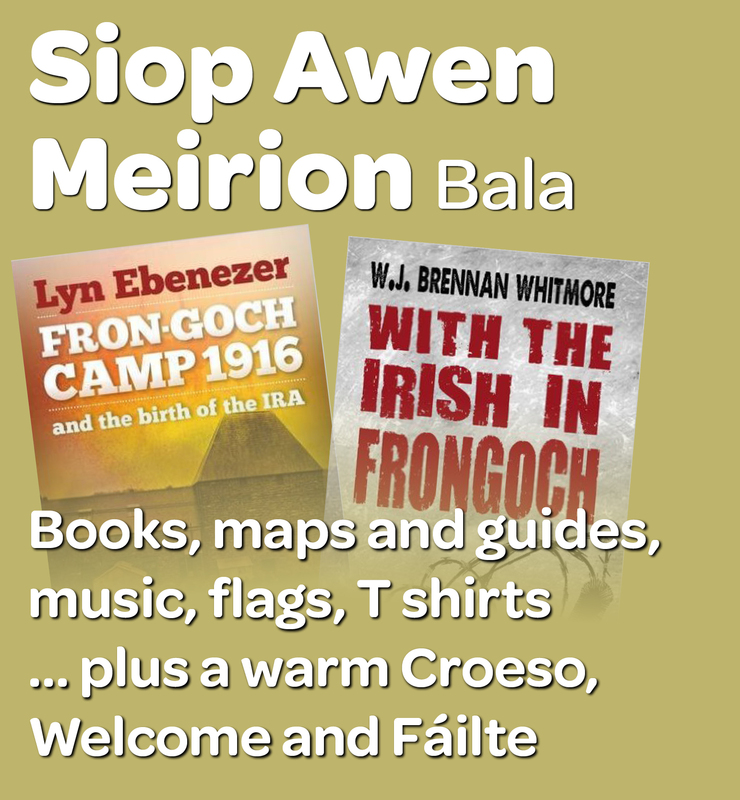 The fight to save Frongoch’s neighbouring village set off protests that hugely influenced modern Wales. According to Roll of Honour.com the following Irish Prisoners of War were held at Frongoch.